So Lacey Lafferty was on the Duke Brooks Show on Hate Radio WGMD today, to tell everyone once again, that she was the first candidate to officially register for the office of governor, of Delaware. 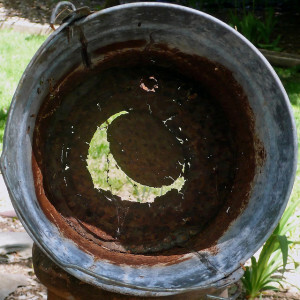 The thing is, in my opinion, as a political candidate, Lacey Lafferty is like a bucket with a hole in it. Ms. Lafferty once again hung her hat, as being qualified to be governor, on the fact that she walked the length and width of the state. I would settle for her just walking away from the Republican Party, and joining her fellow travelers on the Island of Misfit Toys in the IPOD. Here is my official endorsement for governor of Delaware. I endorse anyone other than Lacey Lafferty. The last thing the Republican party needs is a candidate the caliber of “Shoots From The Hip Lafferty”. Ah, shucks! 8 Comments on "Lacey Lafferty On Duke Brooks Show"
Frank supports John Carney for governor. No surprise there. What is surprising is that Frank doesn’t live in NCC, home of RINO’s who love being led around by “reasonable” Democrats. Well maybe if the republicans could nominate a serious candidate instead of a religious nut fear mongering with e bola or a witch..
Rick, first of all, I didn’t mention John Carney. I said anyone but Lafferty. Second, you put “reasonable” in quotation marks in describing Democrats. It seems as if you are saying Lafferty is not reasonable, since I never mentioned that either. Rick, you are a smart guy, you have to know the likelihood of Lafferty winning anything is about as likely as me flying the space shuttle. candidates won’t the party eventually become irrelevant? How is standing on the sideline, shaking our fists in frustration, better than actually governing? For the people who get to call other people “RINOs”, what are the job qualifications for office other than the ability to regurgitate AM talk radio as a platform? Colin Bonini is running and he’s is one of, if not THE, most reliable conservative votes in the Senate. The Lafferty people will nitpick his votes and attack his length of time in the Senate or point out that he doesn’t introduce enough legislation, but we don’t need more laws, we need more steady conservatives steering the ship like Bonini. 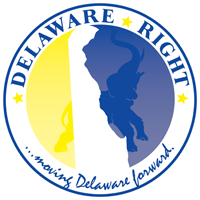 Delaware has serious problems and they are predicted to get worse over the next 10 years. We need reliable conservatism, not a shot in the dark. What does conservatism mean besides parroting angry talk radio slogans? I want to conserve American jobs and the environment that sustains us, can I qualify as a conservative?